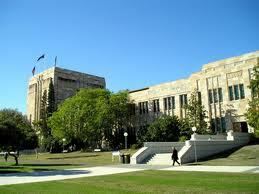 The Faculty of Science is proud to offer the UQ Science International Scholarships program. The program is two-tiered with applicants eligible to be considered either for scholarships valued at a total of AU $12,000 or AU $5,000 with one application. Scholarships will be awarded on the basis of academic performance and the applicant’s personal statement. The scholarships are available for students applying for entry into any of the science coursework programs at undergraduate level. The scholarships are available for international students who have completed secondary studies and have been accepted into an eligible undergraduate program at UQ. Applicants must be classified as an international student in Australia. Please view the complete Terms & Conditions before applying. (Australian citizens and Australian permanent residents are invited to apply for UQ’s available domestic scholarships at: www.uq.edu.au/study/scholarships). 1. Lodge an official UQ undergraduate or postgraduate application form for international students (official website) for entry into one of the eligible Science programs (listed in Appendix 1) to the UQ International Admissions Section or through your agent. 3. Complete and submit the Science International Scholarship online application form below. By submitting an online application you acknowledge that you have read and understand the scholarship Terms & Conditions. Demikian kami sampaikan tentang UQ Science International Undergraduate Scholarships, University of Queensland, Australia semoga informasi tentang UQ Science International Undergraduate Scholarships, University of Queensland, Australia ini bermanfaat.